If there was a single beverage that last year seized the affections of Charlestonians, it was Steigl Radler, an Austrian blend of beer and grapefruit soda. "It's flying off the shelves," a Charleston Beer Exchange employee told The Post and Courier in June, a few weeks after the brand reached town. But Steigl Radler wasn't the first citrus-flavored brew to charm local drinkers. 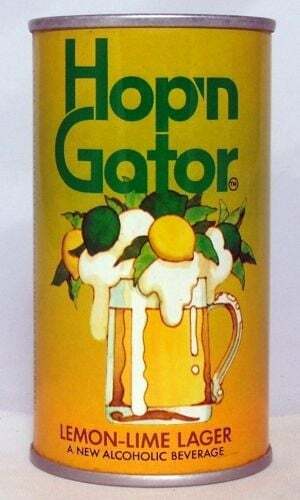 More than 40 years ago, South Carolina was a leading consumer of Hop'n Gator, an alcoholic version of lemon-lime Gatorade. "You may forget the name, but you'll never forget the taste," ads promised. The makers of Gatorade were hung up on the name, though. According to Darren Rovell, author of "First in Thirst: How Gatorade Turned the Science of Sweat into a Cultural Phenomenon," producers of the sports drink sued Gatorade inventor Robert Cade over the boozy recipe he sold to Pittsburgh Brewing Company. By the mid-1970s, Hop'n Gator was extinct. According to a 2004 Philadelphia Daily News column, Cade - an eccentric who once drank urine to debunk a flavor comparison that frequently surfaced in Gatorade discussions - "fermented his famous drink in his own lab and served it at happy hour." His creation was 25 percent more alcoholic than beer. The Pittsburgh Brewing Company product was initially marketed as a lemon-lime lager. But "that just didn't go with the honest beer drinker," The New York Times reported in 1971, two years after Hop'n Gator made its debut in south Florida. It was repositioned as a "tropical-flavored malt liquor," and started performing well in markets including Georgia, South Carolina and Detroit, Mich. Hop'n Gator, along with three other fruity malt liquors introduced in the early 1970s, was especially popular with "blacks, Mexican-Americans and some people in the 50-to-60 set," the Times story said. Those sales statistics concerned the NAACP, which in 1971 accused the Pittsburgh Brewing Company of targeting African-American drinkers while failing to hire African-American salespeople. The New Pittsburgh Courier documented the ensuing boycott: "NAACP flyers are displayed in every major black tavern in Pittsburgh urging black people not to drink" Mustang Malt Liquor, Tech Beer or Hop'n Gator. A pact between Pittsburgh Brewing Company and the NAACP ended the boycott in early 1972. In the summer of 2004, the Pittsburgh Brewing Company produced 10,000 barrels of Hop'n Gator, made according to the original recipe. The stunt wasn't repeated.